Trust is fundamental to data portability. People have different levels of trust in how organisations use data, which may affect how they engage with data portability. GDPR guidance says that when data is about multiple people then the rights of all of the people should be respected. This requires both the organisation that currently holds the data, and the third party who is receiving the data to design for those rights. This means organisations will face several design challenges: for example, helping people to make more informed choices when sharing data that is about multiple people. It’s now easier to pay council tax when you move house. 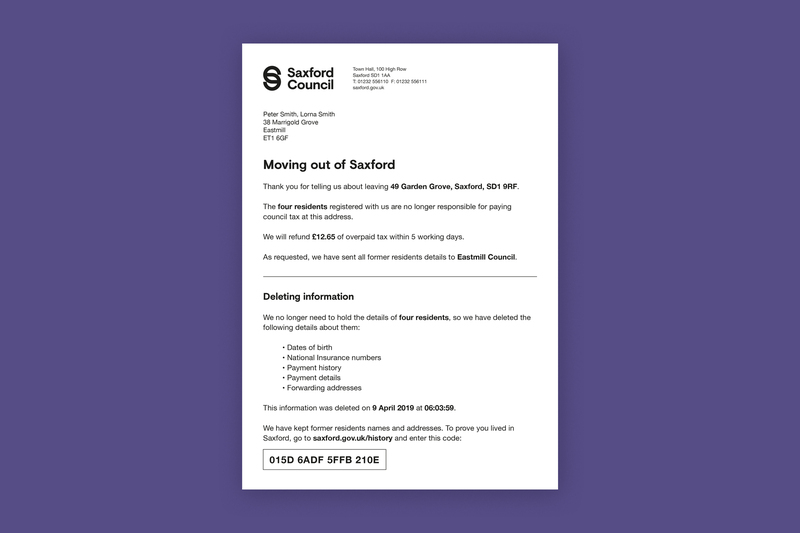 Simply tell your council you’re moving and they’ll transfer details about you and the people you live with to your new council. You’ll receive a letter confirming information has been moved and deleted. This can be used as proof you lived at an address, for example when applying for a mortgage. Without a clear reason for transferring data, people are less likely to exercise their right to portability. This means the practical benefits of transferring data from one service to another need to be obvious. We found people were most comfortable with the idea of using data portability to help them switch between similar services, for example sharing energy use data to compare suppliers. We found people were excited by the prospect of using data portability to transfer data to entirely new types of service, rather than just switching between similar services. For example, being able to understand their diet by giving an app access to their shopping list. For example, people were comfortable with the idea of council tax data being transferred between local authorities. This is partly because it’s a direct switch between similar services and organisations. But people also said they believed they could trust councils not to misuse data.